Who will raise my children if I don't name a guardian? HomeBlogWho Will Raise My Children if I Die Without Naming a Guardian? Each year, National Parents’ Day occurs on the fourth Sunday in July and serves as a reminder of what it means to be a responsible parent. This day was designated by the U. S. Congress as a time for parents to honor their children by recommitting themselves to nurturing their babies into adulthood. Most parents would agree that their children are by far their most precious asset. Yet, many parents with young children fail to create an estate plan or name a guardian to step in should a tragedy strike. Why? Many simply are unaware of the consequences of not planning. Some parents assume their closest relatives will automatically be in charge should something happen. Many drag their feet for fear of picking the wrong person to be guardian, or the two parents cannot agree on whom the guardian should be. Although the likelihood is slim that both parents would die before their children reach adulthood, the emotional and financial consequences of not planning are significant. Amidst the grief and confusion that follows the death of parents, the Florida courts will decide who should raise the children. And the judge’s decision may not be whom the parents or the children would have wanted. In the state of Florida, anyone over the age of 18 can ask to be appointed a guardian. Not to name a guardian in advance essentially is allowing a complete stranger (the judge) to make that decision for you. Beyond the question of “who will raise my children?” is the equally important issue of “how will my financial assets be used for the benefit of my children and in accordance with my values?” Without the proper legal documents, the court will control your child’s inheritance until your child turns age 18 – and then the court hands the funds over to the 18 year old, with no further controls. Our experience with clients indicates that once we ask parents and newlyweds to ponder the above scenarios and ask themselves these tough questions, any doubts about their need to engage in proper planning are eliminated. To add validity to this point, our firm recently conducted an informal survey of working professionals, many of whom had not yet created an estate plan. In a multiple choice question, participants were asked to select from among five options their primary reasons for their decision to create an estate plan. The remaining three options, which drew less than 25% of the respondents, were as follows: to provide for my care in the event of my incapacity; to spare my beneficiaries the expense of probate court, and; to protect my adult children from mismanaging their inheritance. · Who best will raise your grieving child to be a healthy, happy, productive adult? · Who best would be the guardian of this money? · Will they be a good steward of those funds? · Will your child(ren) be emotionally ready to receive a large sum of money at the age of 18? Many parents think if they have a will that names a guardian for their minor children, that person will automatically receive the parents’ financial assets to take care of the children. But that is not the case. While the will is being probated, the judge will appoint a guardian of the person (the child) and a guardian of the property. The guardian of the property must report to the court for every penny spent until the child reaches the legal age of 18 in the state of Florida. At that time, the court will discharge the guardianship funds directly to the child. Most parents believe that 18 year olds are not mature enough to manage their entire inheritance in one lump sum. The above scenario illustrates our preference for trust-based planning vs. will-based planning. We generally encourage parents of young children to create an estate plan that includes a trust for the benefit of the children to handle the funds privately, outside the court’s jurisdiction, if something happens to the parents. The trust, which can be enacted through a Revocable Living Trust-based estate plan or a Will-based estate plan, enables the parents to exercise control “from the grave” over the distribution of their assets to support and protect their children for the child’s lifetime – not just while the child is a minor. While the suggestions above comprise typical elements of estate planning, the information presented is not necessarily comprehensive. 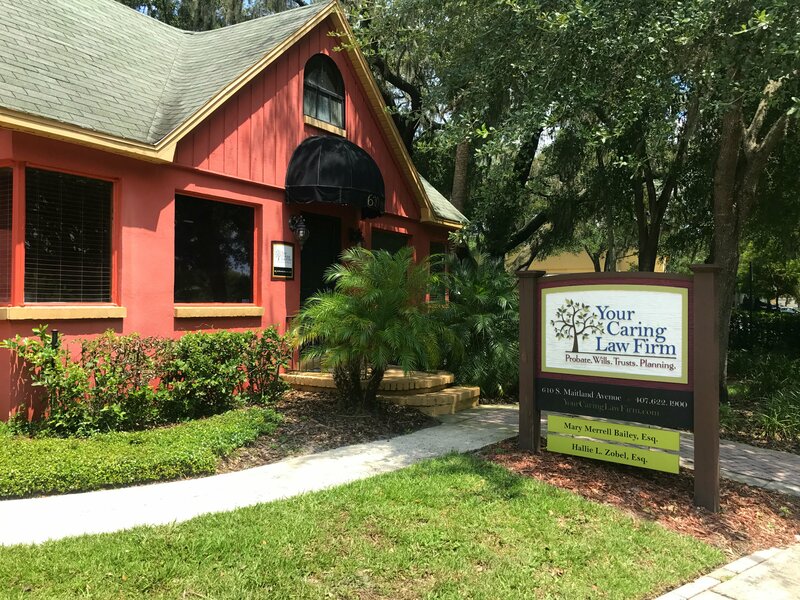 The best approach is to call our office at 407-622-1900 to make an appointment, and we will be happy to help you craft an estate planning solution based upon your unique needs as a family.